Midnight Mist is from the Midnight Masquerade collection that was released late last year and was extremely limited edition. 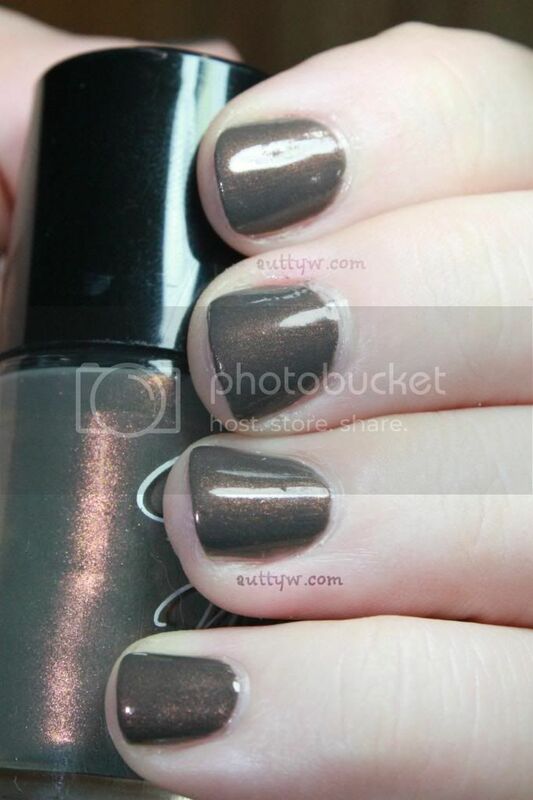 MM is described as an olive green creme with a coppery shimmer. Myself personally, I don't get the olive green, I can't even describe what it looks like to me. The word is failing me at this moment. Maybe a dusty brown? Anyways beside the point. This polish is absolutely spectacular! The formula is amazing. It's opaque in two coats. Now, in all of my pictures, I used Duri Rejuvacote on all of my nails EXCEPT my ring finger because I wanted to show you 1) how shiny it was and 2) I was going to matte it but couldn't find my matte top coat. Look how shiny! You could most definitely get away with not using a top coat. Here's another picture just to show the shine. Do excuse the different length/shape of my nails, I'm in the middle of growing them out and I don't feel like cutting them to make them the same length, even though they're all pretty much the same except for my middle finger. Boo on that nail. I'm still trying to decide on my nail shape as well, I'll probably go squoval because that's how they grow out for the most part. Anypiddle, all of that aside. Cult Nails polishes are AMAZING! Don't forget their Cult Crypt sale is still going on (as of 1/16/14) Unfortunately you can't get any of the Midnight Masquerade collection because they completely sold out of their bottles. What do you think?! Were you able to snag the collection?! Super sad I missed this one. It's gorgeous on you. Thank you so much! I really hope that she brings this back! It's crazy right?! Cult Nails is the first Indie that I've tried and I'm pretty hooked on her stuff! that is such a beautiful color! thanks for sharing! Wow, the shimmer on that polish is really awesome. It's gorgeous right?! 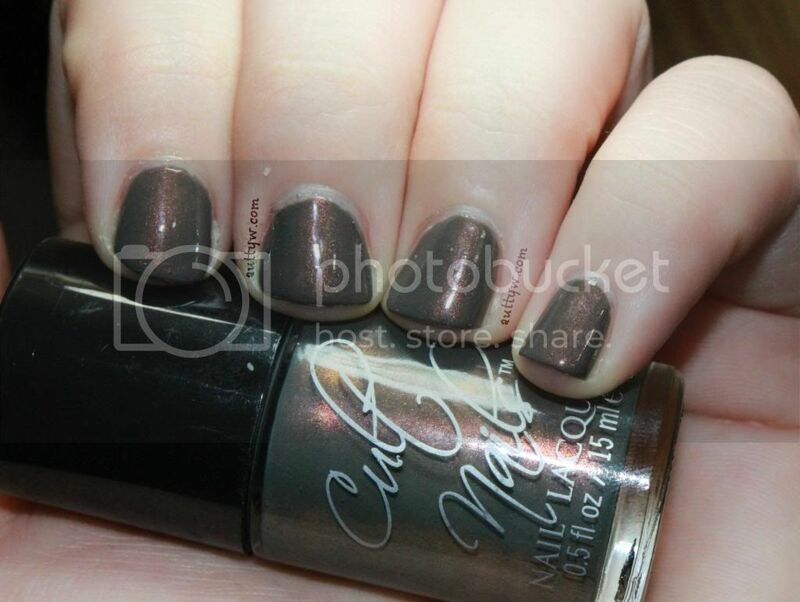 I've worn this so many times just for the shimmer!